Revitol acne cream works very well on your skin to provide an intimate aid and fights with the acne causing bacterias. Acne is a skin deep problem and requires a product that works from within, then just superficially. The condition is capable of leaving scars and spots. Revitol acnezine acne cream or solution will take care of these and make your skin free of it sooner than you could have imagined. 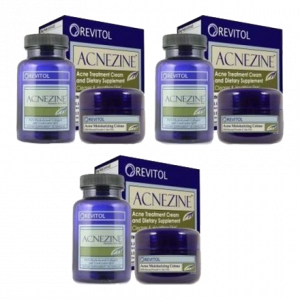 Revitol Acnezine Solution is an ultimate breakthrough product that helps you get rid of those unsightly acnes. Most of the acne treatments work from outside only, but, Revitol Acnezine works at a deeper level to eliminate the root cause. 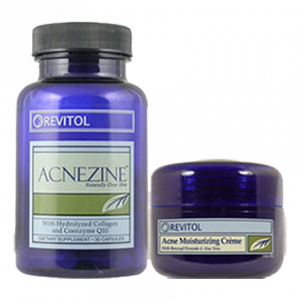 Knock out that acne with Revitol Acnezine treatment. It’s is a skin-friendly product that eliminates acne without making the skin dry and parched. While other creams often leave your skin with these after-marks and may work only on mild acne.